This entry was posted in novelty yarn and tagged hat, knitting and crochet. 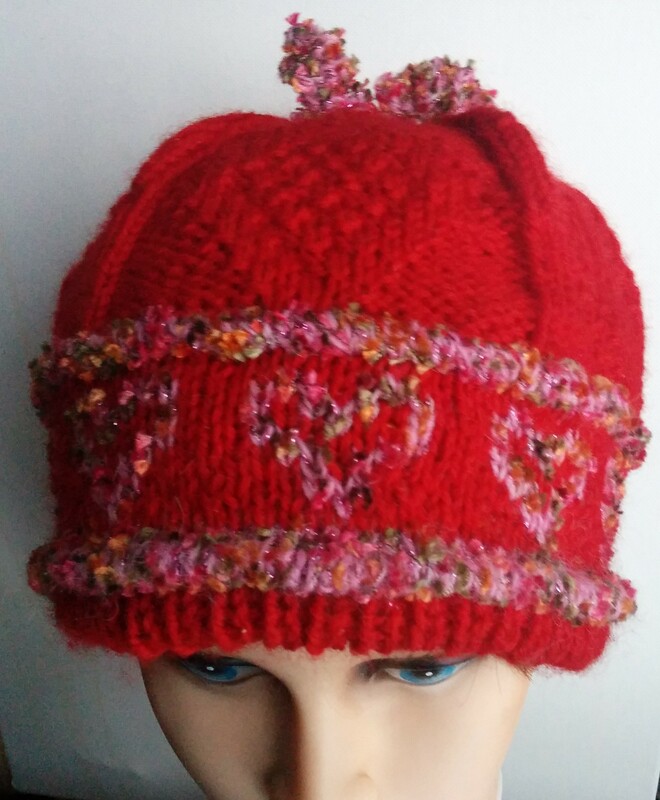 Patons classic wool, Kristine by Rosina, Valentines Hat on February 14, 2015 by gillianknitter. love this hat Gillian…I agree with Nancy about the texture and colour.